After continuously delivering our bespoke luxury packages throughout Scotland, Lang Atholl Experience has expanded to now offer a full Celtic experience with the inclusion of the Irish isle. As many of our guests travel a long distance to see these beautiful lands it makes perfect sense for us to offer both Gaelic nations; with the same level of luxury which has earned us our numerous five-star reviews. This in no means takes anything away from our proud Scottish heritage; nor does it remove any attention from our fantastic Scottish experiences which we continue to offer and excel in. We are simply expanding our current offering to give you a trusted, luxury name if you decided to visit the Emerald Isle. Our first sample Irish experience is based around the Wild Atlantic Way on Ireland’s rugged west coast. Set through the counties of Dublin, Mayo, Kerry, Clare, Galway, Limerick and Cork you will travel from the capital of Dublin, stay in luxurious castles, visit the “cliff coast”, see some of the most spectacular scenery, experience the live music of Galway and stop off at some of Ireland’s most famous historical destinations. 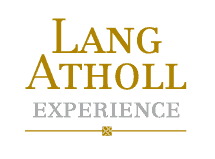 Arriving at Dublin International Airport you will be greeted by a member of the Lang Atholl Experience team who will transport you to the Marker Hotel where you will reside on this evening. Spending your first day in the capital of Ireland you will have a day to rest and recover from your travels. You will have the chance to sightsee and experience that famous Dublin hospitality first hand. Driving from Dublin you will travel south west to the town of Kilkenny, a traditional Irish countryside town. This day will also see you have stop-offs at other notable Irish landmarks such as castles and standing stones. Your evening will be spent at the resort hotel of Fota Island. You will find tranquillity on the island and within the surrounding woodlands. Fota Island also boasts one of the best golf courses in Europe for any golf enthusiasts looking to play a round during their stay. Driving north-west out of Cork you will visit the Blarney Stone as well as the stunning Bantry Bay before driving to The Europe Hotel & Resort, Killarney. The hotel is surrounded by the stunning scenery of Lough Leane which you can enjoy from the comfort of your room. Driving north from Killarney you will find yourself driving along some of the beautiful coastal routes which Ireland has on offer. You will leave the county of Kerry moving into Limerick at this stage and onto the small town of Adare which resides to the south of Limerick City. In Adare, you will find your accommodation for the evening, Adare Manor. Adare Manor is a newly renovated luxury manor home which immerses its guest in the height of grandeur. From the magnificence of the hotel, you will also find a world class parkland golf course within the grounds. You may also wish to make the short trip into Limerick to see the city which has evolved in recent years with a bustling live music scene. You will drive north from Adare along the River Shannon Estuary through Bunratty and Shannon before driving further west down the headland to Doonbeg, Here you will find the Trump International Golf Links & Hotel Ireland. Resting on the rugged western Irish coast the Trump International Golf Links & Hotel offers breath-taking views and an extremely high level of service. Of course, as stated in its name, you will also find a world class links golf course on your doorstep should you wish to fit a round into your trip. Leaving Doonbeg you will make your journey along the Wild Atlantic Way. 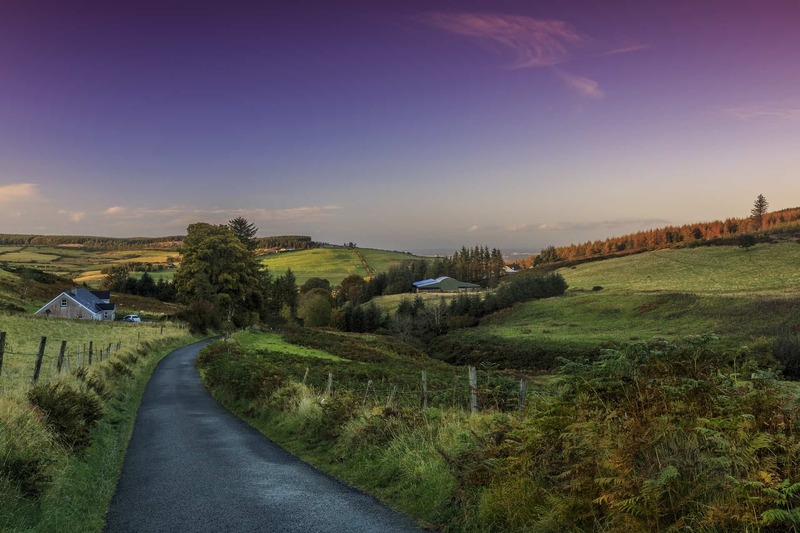 Here you will drive alongside the famed Cliffs of Moher with spectacular rugged coastline views throughout your drive. Upon completing the Wild Atlantic Way you will reach the Irish city of Galway. A picturesque Victorian city based on the edge of the North Atlantic Ocean. Galway is famed for its cobbled streets and live music bar scene, with many notable songs written about the city it is definitely worth a visit. From Galway, you will continue north once more to the county of Mayo where you will find the majestic Ashford Castle, once owned by the Guinness family. This 800-year-old castle envisions the epitome of luxury with a rustic décor and attentive staff your stay here will be sublime. Leaving Ashford Castle, you will drive east until you reach the town of Mullingar, a small traditional town which has always been known as a stop off on route to Dublin, such as mentioned in the song “Rocky Road to Dublin”. Continuing through Mullingar you will reach County Meath where you will find Brú na Bóinne (the palace of Boyne) where there are 3 large passage ancient tombs with a very interesting history. From Brú na Bóinne you have the option of visiting the Medieval town of Drogheda or returning to Dublin to the Marker Hotel.